Visualize how you start every day. I have spent many years refining my own morning routine and lately I have been seeing a growing need from my clients for creating a morning practice that creates positive energy for the day. Every day. There is a huge need for entrepreneurs to move beyond the challenges and have a mindset full of clarity, creativity, and courage. Every day. In this program I will share with you the practice I have developed that gives me great joy and allows me to remove a great deal of stress from my life. Every day. By building your own personalized practice one day at a time it will allow you to start making your morning a time of personal empowerment. A time to develop a deeper understanding of what YOU want to have happen in the day ahead. Over the course of 21 days (the number of days it takes to create a habit) I will give you the tools via a daily audio recording to create something that works unique to you. 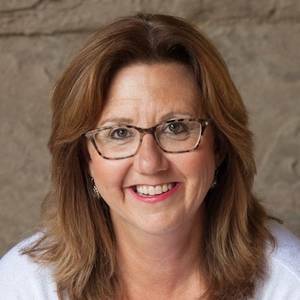 Cheri Ruskus has been an entrepreneur in for over 30 years, 18 of those years as a Business Coach and Strategist for small business owners. In 2006 she founded the Victory Circles providing Coaching and Master Mind solutions. She has also authored two books and spoken to 1,000's of small business owners motivating them to think about their business and life from a new perspective.